Pine Lodge Cottage01263 715779work01603 870304fax Self-cateringPine Lodge Cottage provides newly converted luxury accommodation for two in a stunning setting, close to the Norfolk Broads and half an hours' drive to the fabulous sandy beaches of the east coast. With a hot tub, relaxing garden space, barbecue, WiFi, built-in-the-bed TV and other modern facilites, the owners have gone out of their way to create a stylish, elegant and comfortable holiday home. General: O.F.C.H plus a Air Exchanger unit on the 1st floor which provides warm air and air conditioning dependant on the season. Outdoors: Fully enclosed garden with lawn, patio, charcoal barbecue, chairs, covered decked area with garden furniture and day bed, covered area with hot tub, picnic bench, bicycle storage. Access: Gated roadside parking for one car. Pine Lodge Cottage offers weekly bookings starting on Friday. Pine Lodge Cott offers weekly bookings starting on Friday. 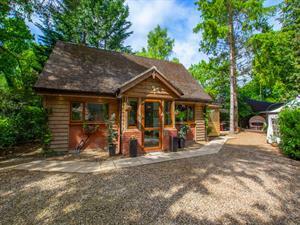 Pine Lodge Cottage provides newly converted luxury accommodation for two in a stunning setting, close to the Norfolk Broads and half an hours' drive to the fabulous sandy beaches of the east coast. With a hot tub, relaxing garden space, barbecue, WiFi, built-in-the-bed TV and other modern facilites, the owners have gone out of their way to create a stylish, elegant and comfortable holiday home.